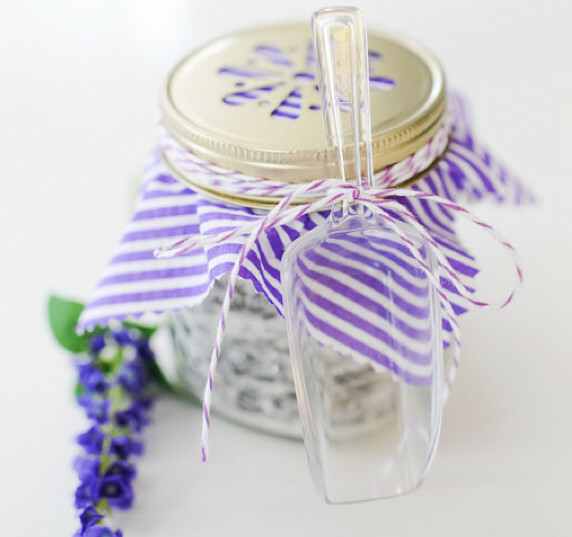 Every bride focuses so intently on the design of her cocktail napkins, the fit of her dress, the look of the centerpieces, and the taste of the food, but many forget to make their walk down the aisle special. 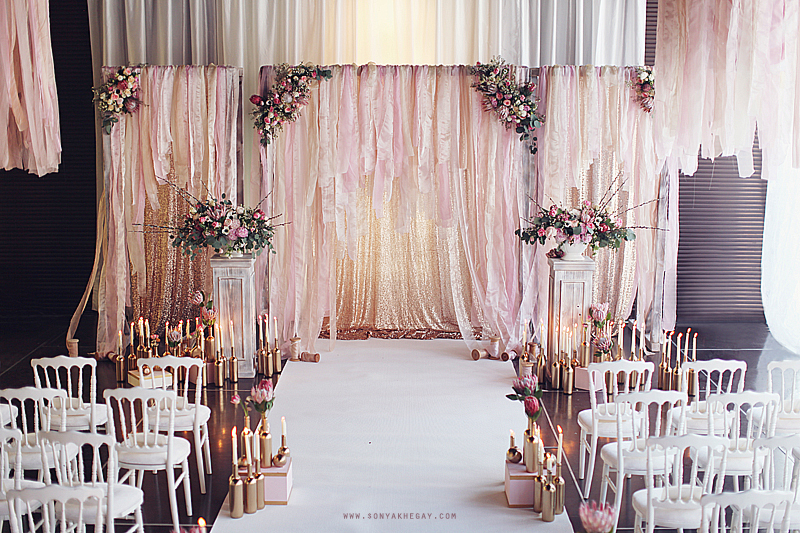 As you approach the man of your dreams, you should also approach the altar of your dreams. 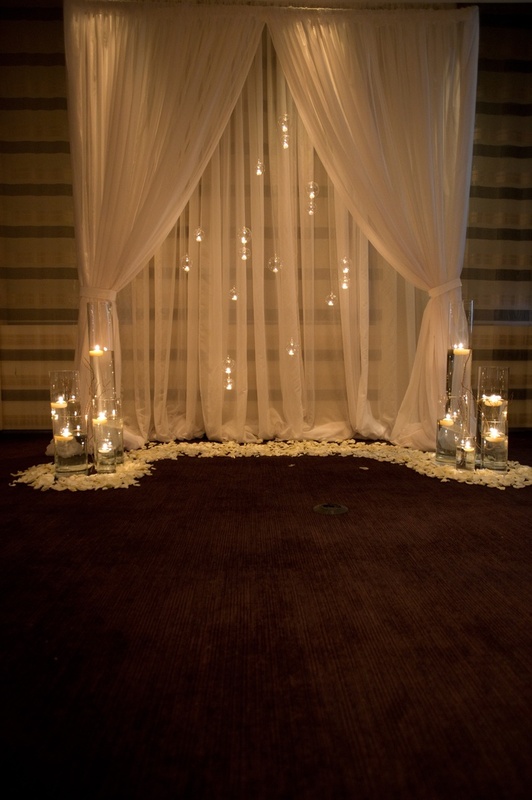 Feel like a queen walking down an aisle made especially for you, and say your vows beneath a breathtaking altar to make your big day one for the books. And not just your books. Your photographer’s, relatives’, and friends’ books too. 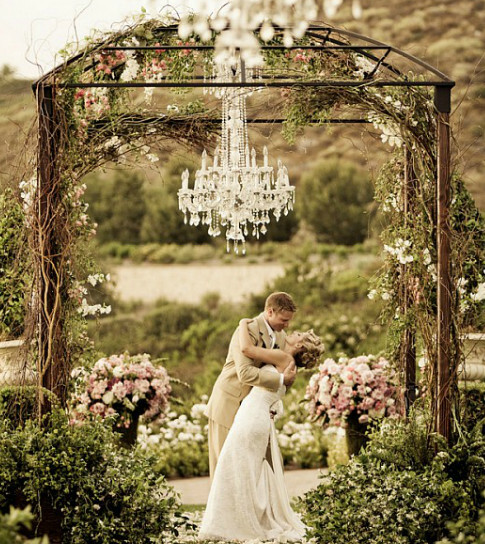 features a chandelier in a garden setting. The juxtaposition is heart stopping. 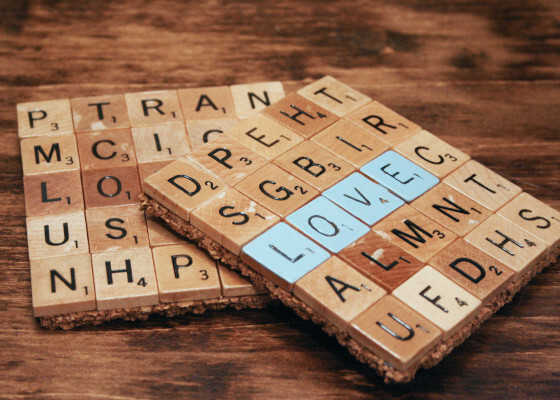 sends a message of unbreakable union with a romantic, rustic look. 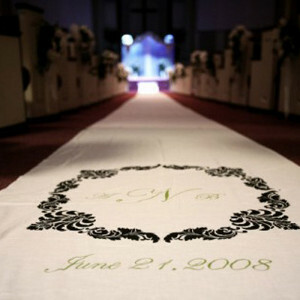 a DIY aisle runner featuring you and your partner’s monogram. See the how to. for an ethereal, soft touch. gives you an angelic background for photos you’ll adore. 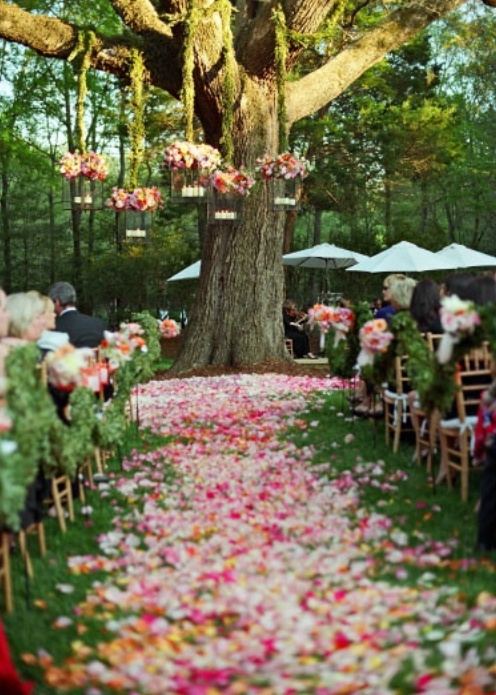 provides a fanciful aisle of scattered petals and floating flowers made for a goddess. is a goose-bump-inducing altar that you can do on your own. Here’s the tutorial. is the most stunning altar I’ve seen to date. 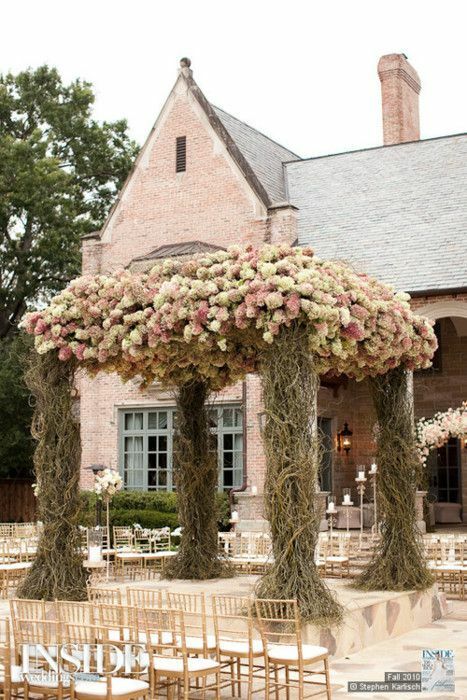 You can do this yourself with monofilament, a large needle, and a ton of carnations. covers you from the first step to the first kiss with gracefully draped fabric and pink floral accents. 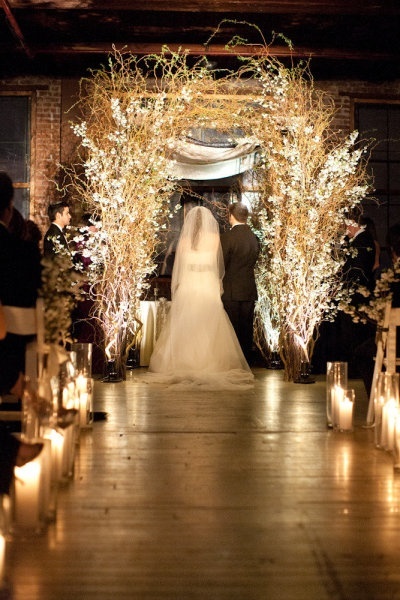 weds just the right amount of bright flowers with light branches. My favorite part is the hanging wisteria. 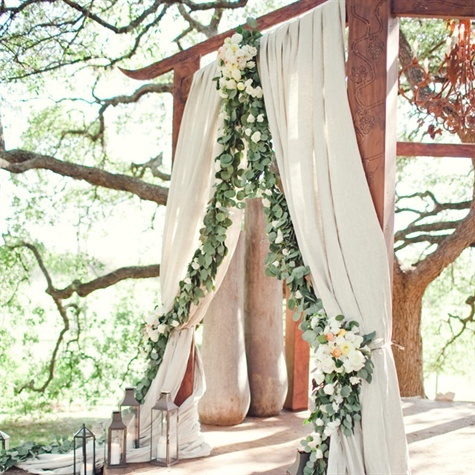 lets you incorporate tons of in-season flowers in one breathtaking altar. This is a great way to save some dough. is truly the altar of dreams. 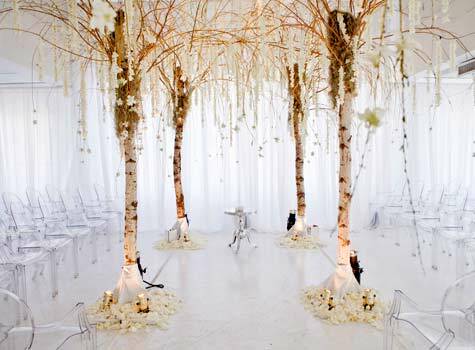 Featuring birch trees and dripping flowers, this will definitely draw attention. 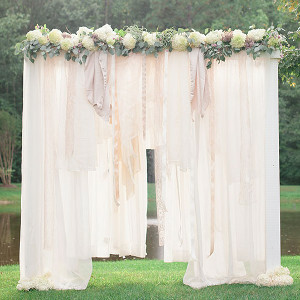 cuts costs and increases romance by using mostly fabric and greens with just a touch of florals. 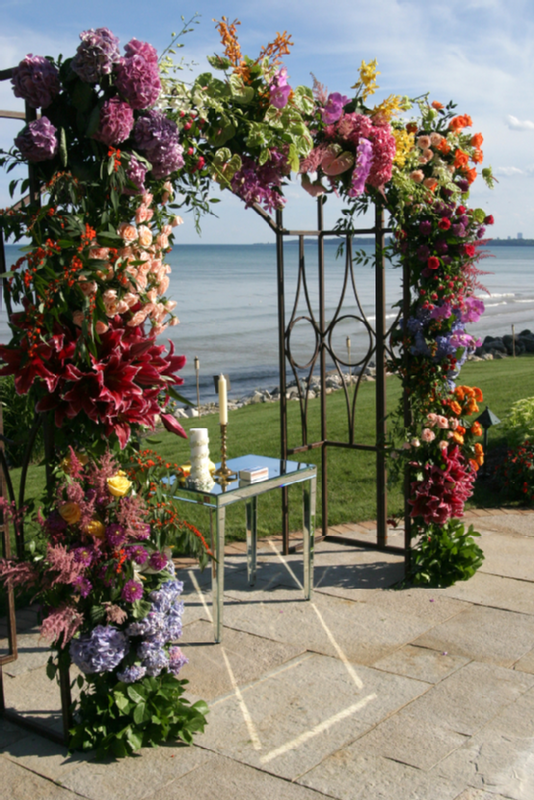 gives every guest a VIP seat at your ceremony. The yellow/orange flowers are perfect for an early fall wedding. 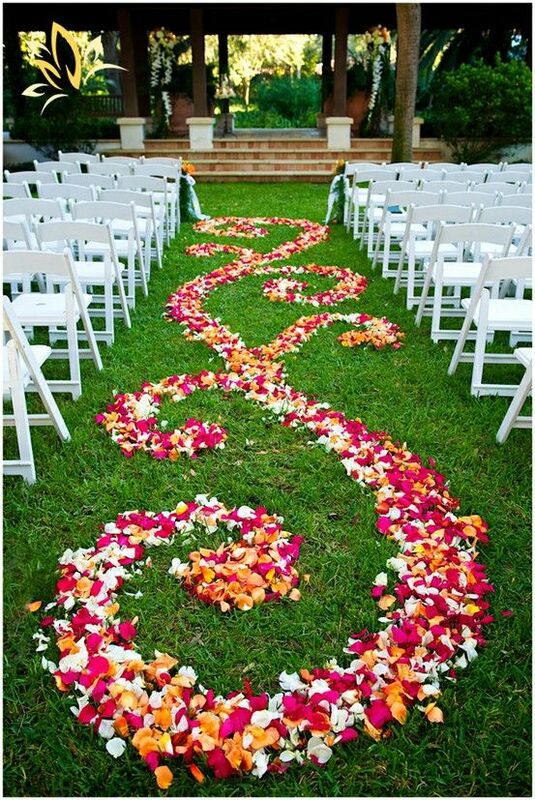 Line the aisle runner with the same flowers used on the altar for a cohesive look that you won’t trample. gives a pop of color every so often, allowing the naturally beautiful birch to take center stage. 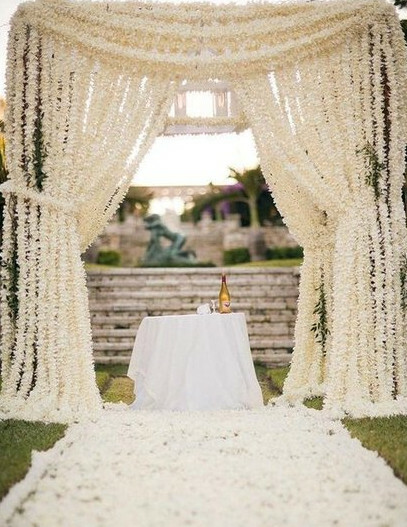 is a ravishing way to welcome your guests, and the perfect walkway for a bride. 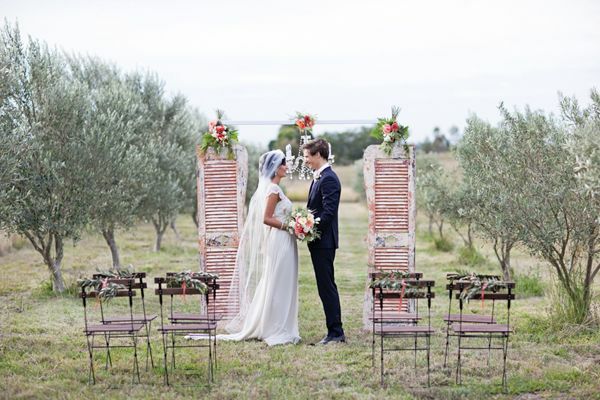 is an unreal display under which to say your vows. It’s explosive dynamism will wow your guests and allow for incredible photos. 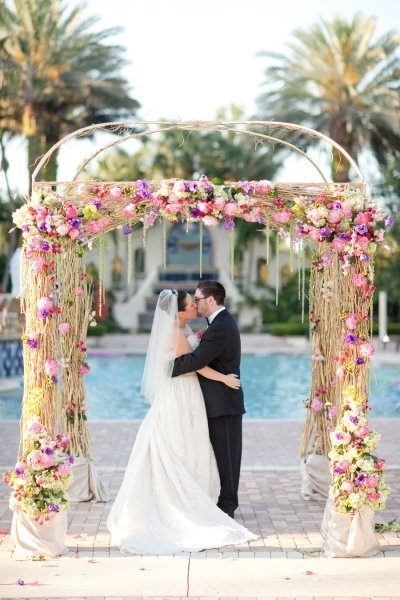 gives you and your honey the focus while supplying a subtly gorgeous backdrop. Which is your favorite ceremony look? Every year, Pantone determines a color of the year, and it’s picked up by designers, celebrities, and the best DIY websites. 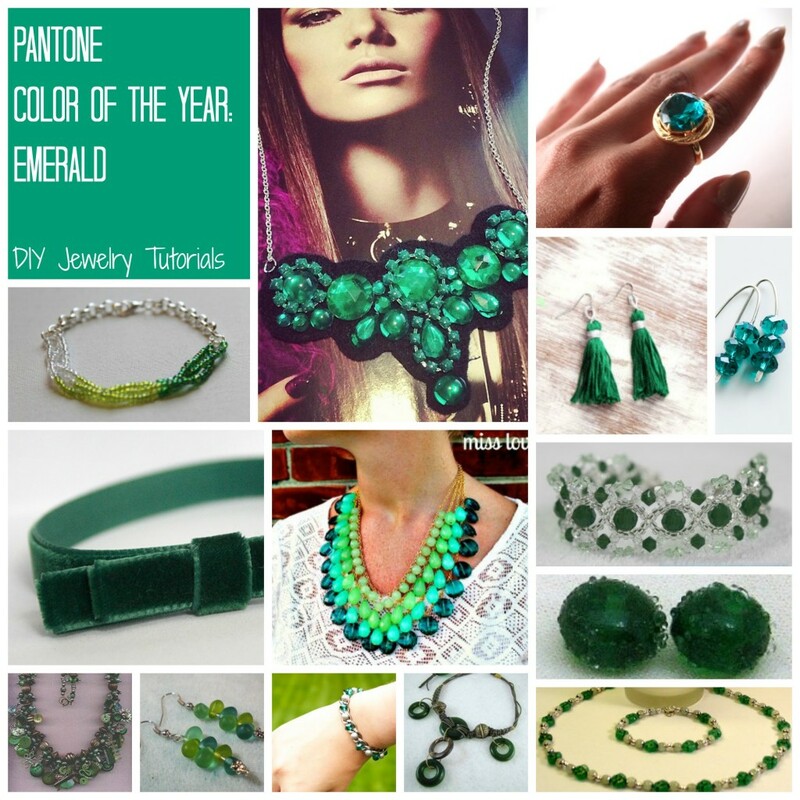 Let’s bid adieu to 2013 by going all out with its signature color, emerald. While emerald was used in clothing and furniture design this year, nothing was more apparent than its presence in jewelry. Proven by Christina Hendricks and Maria Menounos, left, the hottest stars walked the red carpet throughout the year showing off this dazzling hue. You, too, can walk your own runway with the same effect at a much lower price. Pay homage to enchanting emerald with your own jewelry creations. 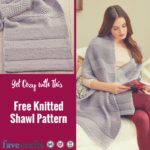 This stunning color can be paired with a myriad of other shades, including rich purple, deep maroon, bright yellow, stark white, classic black, and even its own brilliant hue. That means that these DIY pieces can be worn with almost anything. A breathtaking piece that can be worn everyday? Oh, yes! The Wicked Witch made it popular and now Pantone’s made it official. Don’t be seen on a night out without one or more of these jewelry ideas giving you that extra pow. Even though 2013 is on its way out, we’re certain that emerald is here to stay. 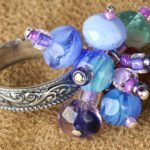 Even if you’re a beginner jewelry maker, there are plenty of DIY earrings, necklaces, and bracelets you can put together which show off this jewel-toned stunner. Start with the incredibly easy Enchanting Emerald Earrings and then advance slightly to the Multistrand Ombre Bracelet. If you’re a more experienced DIY jewelry maker, go for the gold (or the emerald) with the Emerald City Necklace and the Irish Crystal Bracelet. Do you like the color emerald? Lights, camera, action. 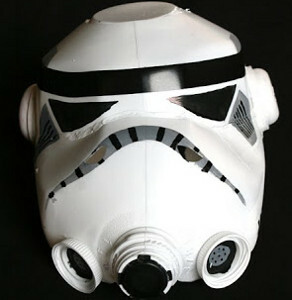 Line up along the red carpet and watch as all of your favorite movie characters strut their stuff in craft form. We all fall in love with characters from movies, whether in a platonic or romantic way. Kids do the same, and would give anything to meet Lightning McQueen or The Lorax. 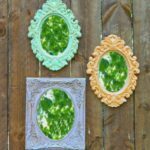 While I can’t introduce your kiddo to Buzz Lightyear, I can offer you some pretty awesome movie-inspired crafts for kids. 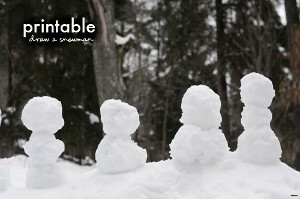 Children will absolutely love this opportunity to get close with their favorite characters. 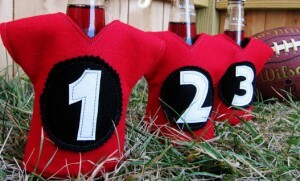 These crafts are perfect for themed parties or a movie and crafting day. 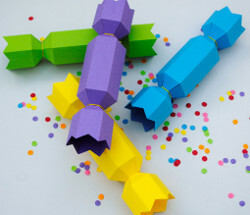 No matter when you decide to make these silver-screen crafts, the kids are sure to love them. Admit one to the craft list of the year! Movies these days are absolutely spectacular with the constantly advancing technology, it’s no wonder kids get so drawn in. 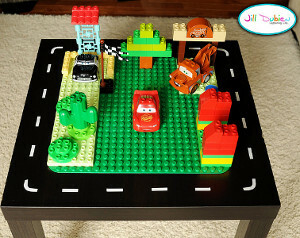 Cars is a well-deserved front runner of kid admiration, so of course it had to make our list of movie crafts for kids. The Lightening McQueen Race Track will delight kids of all ages and genders. Just to be in Lightening McQueen’s presence is an honor! 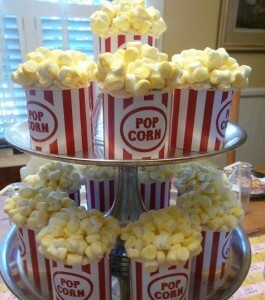 Mimic a drive-in movie in the backyard on a hot summer night or indoors with hot cocoa in the winter. Complete with popcorn, tickets, and crafts, this night will be one the children will never forget. Start by making Creative Cardboard Box Cars to up the authenticity of the activity. 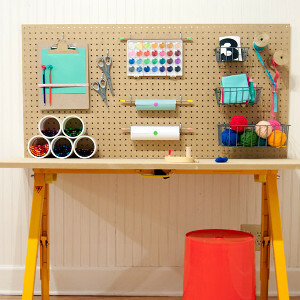 Fill up an entire day with crafting and movie watching to make your job easier. While kids are darling, they can’t always color inside the lines, draw the perfect circle, or fold the paper correctly. And on top of that, you can’t always color the exact shade of brown they’re looking for, draw the perfect elephant that matches their imagination, or fold an origami star just right. 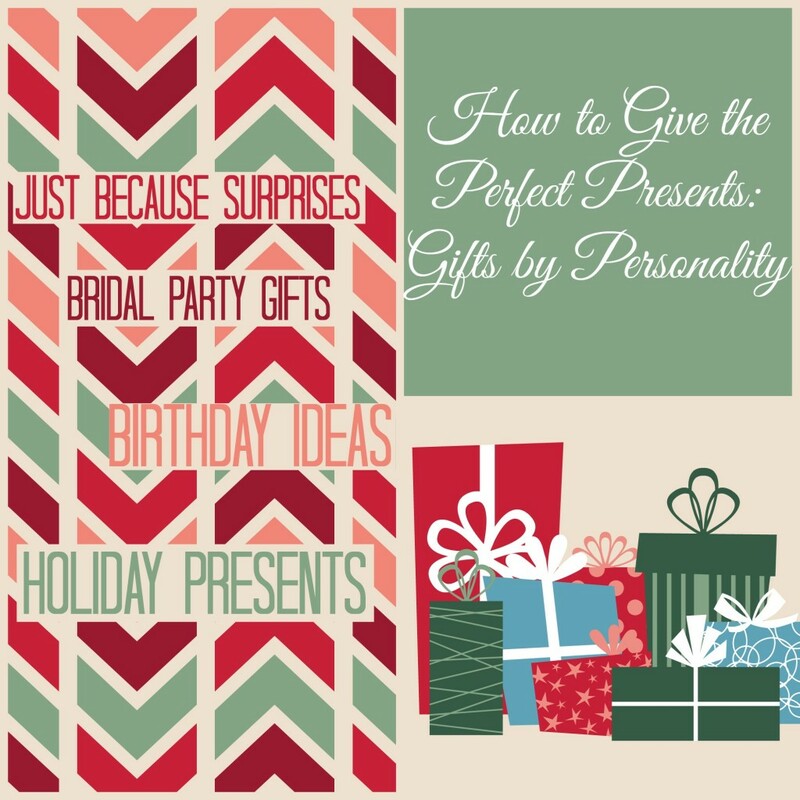 To ease the crafting process, some bloggers grace you with templates and printables. 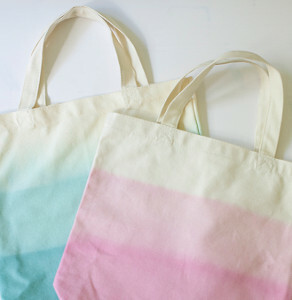 These either provide the right color, the perfect outline, or the correct places to fold (or if you’re lucky, all three). 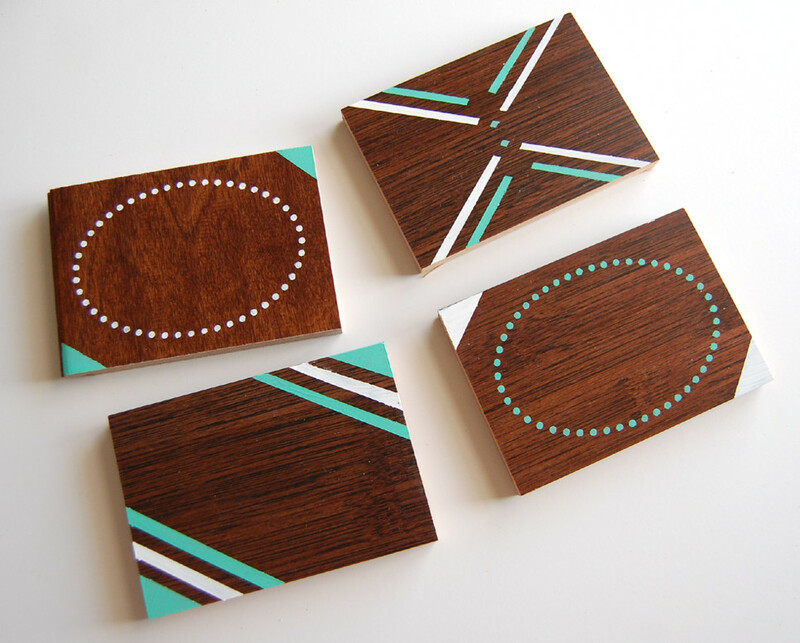 Craft time goes a lot more smoothly when these generous bloggers make it easy on you. 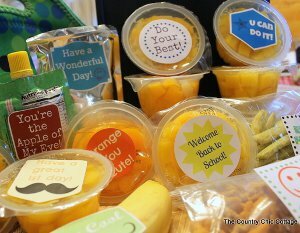 Printables start the kids off on the right foot and simply require them to connect the dots. And if it’s still not perfect, who cares? Perfect isn’t going to start any conversations, now is it? Spring is the lovely season where vibrant colors start returning and pink reenters the cheeks of children. 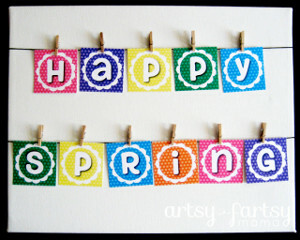 Welcome the joy of spring with the convenient and adorable Happy Spring Printable Posters. 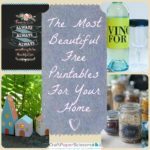 For the days when it’s not quite warm enough or when April showers are promising May flowers, keep this list of printable crafts for kids close. 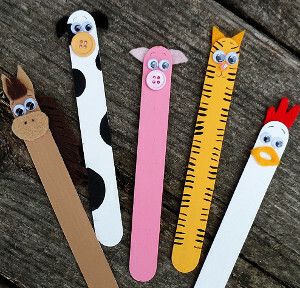 View all 50 free printable crafts for kids here. Which is your favorite season to craft in? While your version of heaven may resemble a trip to the Bahamas with personal servants fanning you with leaves and feeding you grapes, kids dream of a whole different world; a world where toys are unlimited as is the play dough and finger paint. Mom heaven is expensive, but kiddo heaven can come true in a matter of minutes without breaking the bank. 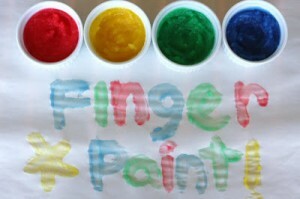 When you make play dough and finger paints at home, it’s so inexpensive that the sky is the limit. Making endless identical batches sounds miserable, but AllFreeKidsCrafts has found a ton of different finger paint and play dough recipes so you’ll never get bored. 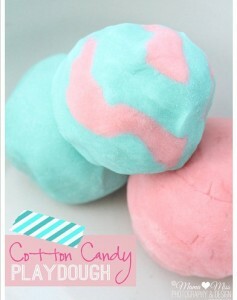 Kids are very tactile, so play dough is the perfect craft to keep them busy. Once they’re finished mixing and stirring, they will play with the gooey stuff for hours, molding, squishing, and remodeling. 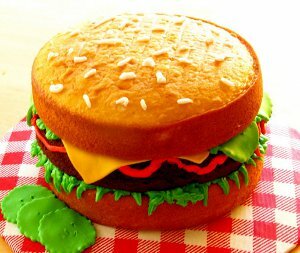 Don’t bother going to the store and spending your money on expensive brand-name dough when you can make even better recipes at home. 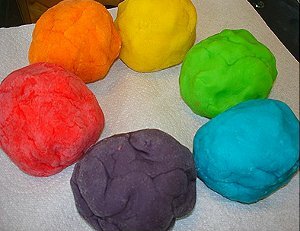 Thanks to the brilliant minds of bloggers, there is now edible play dough, delicious-smelling play dough, and vibrant play dough that will thrill the kids. Do you think that part of a good childhood is being allowed to get messy? Summer officially began yesterday, but school has been out for a couple of weeks. While the long, sunny days with nothing to do are nice, you may begin to go stir crazy with the little kiddos running around constantly. Keep them busy with summer activities that they’ll love. That way, you’ll get to enjoy your summer too. 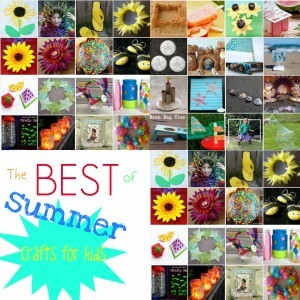 AllFreeKidsCrafts has gathered 33 Summer Activities for Kids to Do that you might want to get in on. 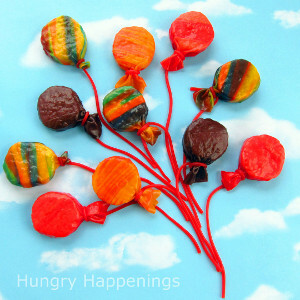 They’re fun, fresh, and hot, hot, hot! 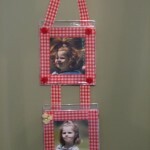 Let the sun shine in with summery crafts for kids. 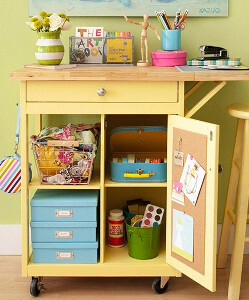 The sun is abundant outside of your home, but bring it inside with wonderfully sunny crafts that kids can make. 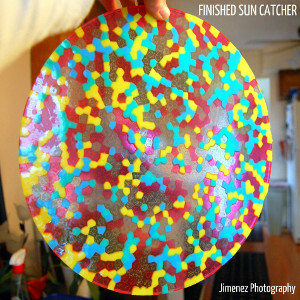 One of my favorite new crafts is the Pizza Pan Suncatcher. 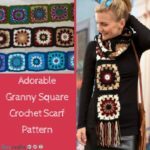 It’s so beautiful, and it’s made only from beads, which means it’s inexpensive! 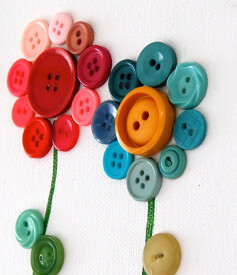 Hang it outside the window so that it will catch the sun and reflect it right into your happy home. Playing in the sand is one of the quintessential activities of summer. 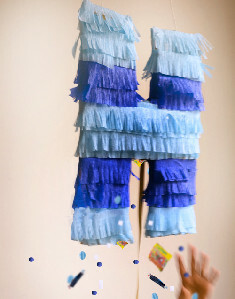 Whether you make it to the beach daily or not at all, there are still beach crafts for kids that can bring the beach home. No matter how much time you spend on the beautiful coast, you can never bring your superb sandcastle home. 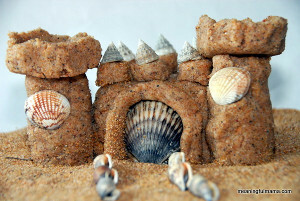 The Everlasting Sandcastle allows you to build a fortress that will never be washed away. 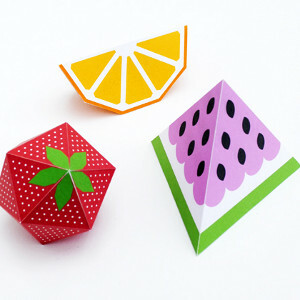 Fresh is the word of the summer: fresh fruit, freshly cut grass, and fresh flowers, so why not fresh crafts? 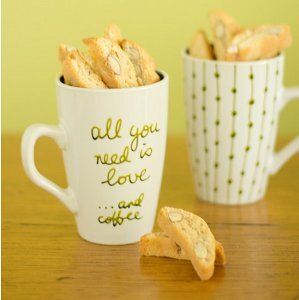 These new crafts will keep you up-to-date with the trends, and they’re sure to thrill you. 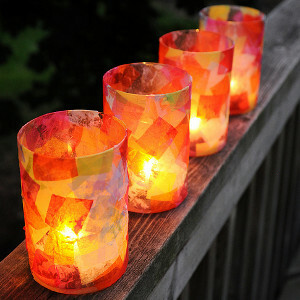 The fun of summer doesn’t stop when the sun goes down, so keep the excitement alive by lighting your way at night. Campfires are some of the best activities that summer has to offer. Make sure that you can see your delicious, melting s’mores by crafting Summer Lanterns that will brighten your summer nights. How do your kids keep busy during the summer? Do you believe in sending them to summer camp? You will find yourself captivated by each project and its alluring photographs as you leaf through the pages of this amazingly fun handbook to technology-free fun. These days it seems kids are so caught up in their virtual-reality worlds, and it is our responsibility to bring them back to the real world. Jennifer Casa has done all of the work for you, all you have to do is enter to win this guide to getting outside. 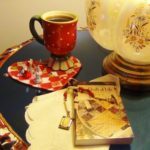 The book boasts the perfect projects for summer, fall, winter, and spring, and it deserves those bragging rights. 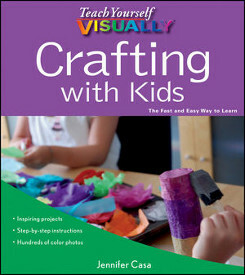 To guarantee face-to-face interaction and shared creativity and fun with your kids, enter once a day from June 10th- June 24th to win a copy of Jennifer Casa’s Crafting With Kids. 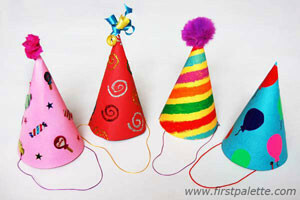 To read more about Crafting With Kids, click here. Return often to improve your chances of winning . Just visit the giveaway page and enter the form. You can also earn extra entries by posting about this awesome prize on social media. Learn more about how to do that here. 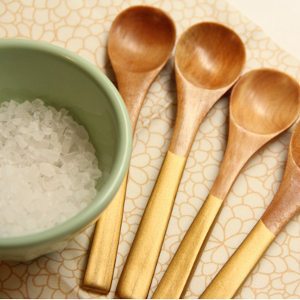 In which season do you enjoy crafting the most?